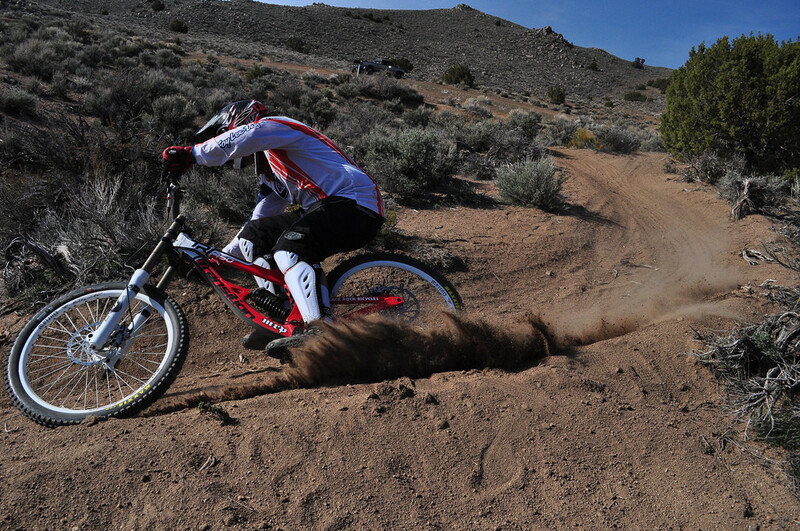 DhReno riders will be out at the Golden Valley DH trails on Sunday, April 8th at 1pm. Here is the bottom of the trail where we park. Every one is welcome to come hike the trails with us, so come join in if you feel like riding! Is it strictly DH rides or can anyone come? I have a HT just enough to ride but nothing I would consider DH worthy 🙂 Asking now so next time it comes up I might head out meet some new people. This trail is DH only, but we do trail rides every now and then. Keep checking the site for updates! Hey, I was there for that shot!